After great Assassin's Creed 4 release all fans are waiting for the announcement of new games in this famous series. It seems that next year the gamers will get even two presents, because two Assassin's Creed games will be released in 2014 according to the rumors. The unknown source of Examiner has reported that the developers are working on two titles in the famous franchise of action-adventure games, and both of them will be released next year. The first project is going to be launched exclusively for the next generation of consoles, while the other one is intended for Xbox 360 and PS3 (and PC, we hope). 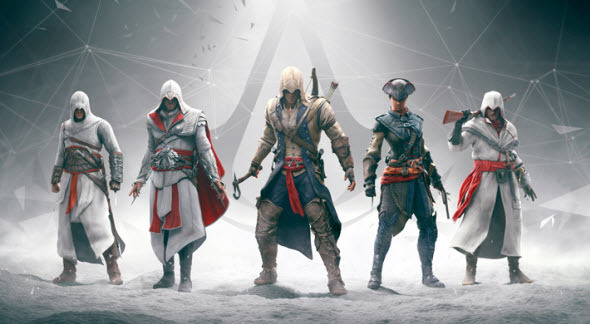 Also it has become known that the series is going to be redesigned, so maybe new Assassin's Creed game will be completely surprising for the faithful fans. Recently we have reported about other Assassin's Creed 5 rumors. Thus, it has become known that the new title may be set in Egypt, and whatever it will be about, it might contain the shared world like the one in Watch Dogs. And at the end we would like to remind you that the information above should be taken with a grain of salt, because officially Ubisoft hasn't confirmed anything yet.